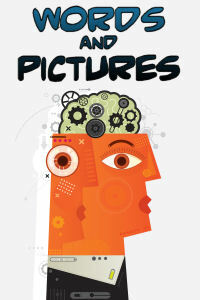 Richard Zwicker has sold 46 speculative short stories to 29 magazines in 7 and a half years; Penumbra, Plasma Frequency Magazine, Perihelion Science Fiction, Page and Spine, Poe Little Thing, and other paying markets that don’t all begin with “P”. “I like to write character-driven science fiction. If the science is driving, I usually hit a tree. Humor and seriousness often fight to a draw in my stories. Sometimes I write fantasy to get away from all the gadgets. I lived and taught in Brazil for eight years, but I’m still a lousy soccer player. Other than reading and writing, my hobbies include playing the piano, jogging, and fighting the good fight against middle age. Much of what short story writing success I’ve had I credit to Critters.org.” Richard Zwicker is an English teacher. He lives with his wife in Vermont. Short story writer Richard Zwicker talks with me about humor, detective, Greek mythology, sci fi, reoccurring characters, and his new anthology, Walden Planet. RICHARD ZWICKER: Because humor is essential. It’s our defense against life’s absurdities. In my Walden Planet anthology, the first story “That Was So Funny I Forgot to Laugh” is about this. Robots kick humans off of Earth, which leaves Mort, a lone joke android, trying to keep humor alive. The plot is absurd, but the “humor is essential” message is serious. This is the kind of contrast I often shoot for. My stories aren’t usually straight humor. I might start with a funny idea, but then as I build the story, that idea comes up against a serious problem. In my Critters bio, I say “humor and seriousness often fight to a draw in my stories.” I think this mirrors the human condition. Life is hard. To cope, we laugh. And if we’re lucky, we come out slightly ahead. RZ: For a long time I’ve been a fan of noir and Bogart movies. Plot is very important in mysteries, but that doesn’t explain why people can watch and enjoy “Maltese Falcon” repeatedly. I think it’s the dark tone and the characters. Bogart is tough, cool, tragic, and in his way, honorable. Mary Astor is scheming and manipulative. Peter Lorre is mysterious and dangerous. Sydney Greenstreet is relentless, practical, with a deceptive veneer of affability. After we’ve gone through the story, we want to go back and spend time with them. I’m no Dashiell Hammett or Raymond Chandler, but sometimes I try to recreate that atmosphere where life is charged with such interesting characters. I also like the contrast of putting these 1940’s tropes into a futuristic setting. Part of what gravitates me to this sort of thing is being an English teacher. I often have to entice students to read something very old, so I try to jazz it up. RZ: As a child I loved astronomy and watching cheap 1950’s SF movies on TV. Both transported me. I liked reading the SF heavyweights of the time, such as Harlan Ellison, Asimov, Clarke, and Bradbury. When I went to college, my English courses trained me to look down on the genre and it affected my writing, which became wordy and shapeless. That was my idea of literary writing. My interest in SF was rekindled, ironically, while I taught in Brazil in the 1990’s. One of my colleagues had someone send down VHS tapes of Star Trek: The Next Generation. We’d get together and I got hooked on the show. Then, slowly, I started reading SF again. First, the classic SF writers, and eventually, contemporary ones. One of the main reasons I write SF is because of the online writer’s group, Critters.org. It specializes in speculative fiction, and the feedback on stories I get from them, more any single factor, has contributed to whatever success I’ve had in the field. I can’t recommend them enough. What I really like about writing SF is the freedom it gives me. Though I’m writing about an issue relevant to the present, SF allows me to extrapolate and exaggerate. I also find it easier to plot SF because you have more options. CS: How do you blend 3 genres, sci fi, detective, and humor? RZ: For me, it’s a natural thing. SF and mysteries have tropes. I put the attitude and tone of a 1940’s noir mystery into an SF setting. The SF allows me to exaggerate or extrapolate on the problem to an absurd degree, which produces the humor. CS: Do your stories have reoccurring characters? RZ: Yes! It’s not easy coming up with a new set of characters for each short story. I think we’re more conditioned to that sort of thing (recurring characters). It’s nearly as common for speculative fiction writers to have a series of novels as stand-alones. Hollywood is addicted to sequels. And Netflix, HBO, and other cable channels have been very successful with continued episodes rather than isolated ones. Plus, I enjoy revisiting some of my characters. I’ve sold a number of “Frankenstein-detective” stories, which are based on the following premise: the monster survives his climactic showdown with his creator in the Arctic. He returns to Switzerland, assumes the Frankenstein name, and reinvents himself as a consulting detective (“No case too monstrous.”). To write these stories I borrow from two sources. From the Shelley novel I take the monster’s intelligence and education (He was well read), and from the Universal Studios’ 1930’s movies I take Igor, as the detective’s sidekick and foil, and some of the other monsters as clients and antagonists. It sounds ridiculous, but I have fun with it, and one of the challenges is making it work. CS: What kind of reaction do you get from science fiction magazine editors to your humor oriented stories? RZ: Humor is more subjective than drama, so while just about everyone likes to laugh, not everyone is going to find certain types of humor funny. I suspect a few editors equate humor with a lack of scientific rigor. Others may be put off by how humor can diminish a story’s urgency and tension. Again, if a story is well written, most editors will find some humor an asset. CS: What kind of reaction do you get from science fiction magazine editors to your detective stories? RZ: I haven’t had any editors say, “Great! A detective story!” but if the story is well written, there’s a good chance an editor will like it. I’d say most editors feel positively toward good cross-genre fiction. It might a harder sell to an editor of a hard SF ezine. My detective stories are influenced by my love of 1940’s film noir, which gives them a retro feel, which some editors don’t like. That’s OK. Someone such as Kristine Kathryn Rusch in her “Retrieval Artist” series does an excellent job of balancing futuristic science and mystery. CS: What perspective do science fiction magazine editors have toward your science premises? RZ: There are many kinds of editors. Some prefer hard SF driven by technology, some prefer soft SF that is character-driven. 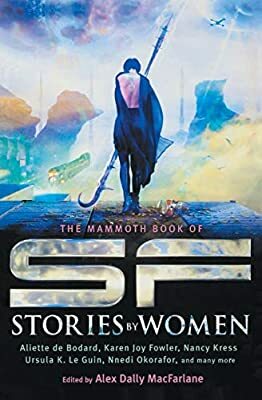 I’m an English teacher with a limited background in science, so I write soft SF (though I enjoy reading both). It’s certainly an advantage for an SF writer to be well informed about science and technology. On the other hand, if that writer can’t craft compelling characters, the story will have less impact. CS: A fourth of your stories are in Perihelion and Mad Scientist Journal. Are you on the masthead of either? RZ: Both publications have been very good to me, and both have the space to publish more than the average amount of fiction. The editor of Perihelion likes, among other things, space opera, so that is up my alley. Mad Scientist Journal is a little different. They specialize in humorous essays written by fictional mad scientists. I haven’t written any of those, but twice a year they open their submissions to include broadly humorous monster-themed short stories. Most of what they’ve accepted from me I wrote specifically with MSJ in mind. I think the speculative fiction field is very fortunate to have both these editors. Long may they publish. CS: What’s the criteria for inclusion in your anthology? RZ: In Walden Planet I included fifteen science fiction short stories mostly published from 2008 to 2012. I intend to include my fantasy stories in a later collection. The only other criterion was the story had to be previously published in an ezine or magazine. Amazon makes it tempting to just write fiction and self-publish, but my work needs to go through a particular vetting process. I write the story as best I can. Then I submit it to Critters, where I get around twenty critiques. I condense the critiques to points I want to consider in the rewrite. I rewrite. Then I submit the story to an ezine. The story gets rejected a number of times. I tweak it. In time, an editor buys it. In six months or a year, the rights revert back to me, and I am free to include it in an anthology. One of the things I’ve learned in this game is great or even good fiction rarely happens quickly. If I had any doubt, they were dispelled by reading Go Set a Watchman, Harper Lee’s early draft of To Kill a Mockingbird. It showed me that even an iconic writer needs time, reflection, and revision to create something worthwhile. Richard Zwicker has sold stories to Fantasy Scroll, Penumbra, Mad Scientist Journal, Perihelion, Kzin, Plasma Frequency, On the Premises, Eric’s Hysterics, Tales of Old, Stupefying Stories, Bards and Sages Quarterly, LocoThology, Strange Mysteries, The Rejected Quarterly, Page and Spine, SQ, T. Gene Davis’s Speculative Blog Mindflights, Poe Little Thing, Sci Phi, Farstrider, FlagShip, Raygun and Robot, Labyrinth Inhabitant, Writing Shift, New Myths, Golden Visions, Speculative Mystery Iconoclast, and Ray Gun Revival.